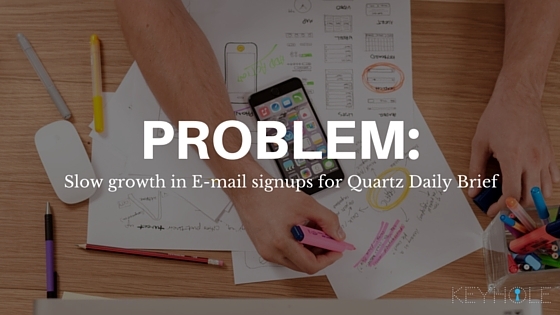 Quartz’s Daily Brief, an e-newspaper that inboxes you their most popular news articles from around the world, doubled their email signups in only 47 days simply by making 2 changes in their email signup system. You can read the original in paragraph form here. Take a look at the graph. 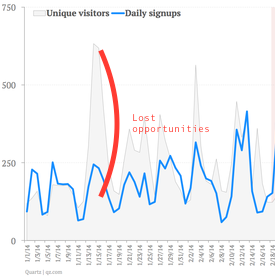 The gray area represents Unique Visitors, and the blue, number of signups. The red line shows the period when QZ was losing out on the most number of visitors. They had almost 700,000 visitors, but less than 250,000 subscribed. But they’re agile, so they quickly changed this. 2. OBSTACLE: Long email sign-up process. To be fair, finding the obstacle is the hardest part. For instance, the QZ team initially thought the obstacle to this growth was in the design of the sign-up form, so they upgraded its aesthetics. But to their surprise, there was no improvement in number of subscribers vs. visitors – design wasn’t their obstacle to success. 3. RATIONALE BEHIND LONG SIGNUP PROCESS: They were thinking long-term. QZ’s long-term strategy included tons of add-ons, such as geo-location and offline mode, which required a full account. It seemed logical to ask readers to open up full accounts to begin with. But the catch was, they didn’t have any of the features such as the offline mode yet. They were complicating the sign-up process merely based on their yet to be realized “long-term” strategy. 4. SOLUTION: Made sign-up easier by asking for email only. Most notably, they transitioned from the Double Opt-In process to Single Opt-In. 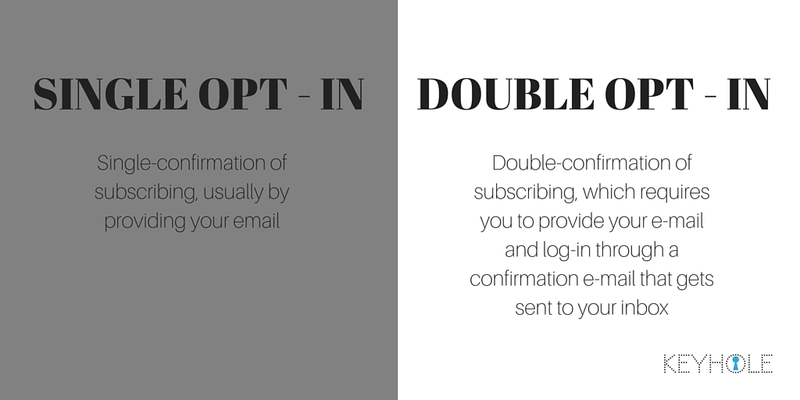 ‘Double Opt-in’ and ‘Single Opt-In’ basically describe how many times you, as a subscriber, need to confirm. 5. RESULT: Doubling in 47 days. Building a robust, quality subscriber base is quintessential in growing your traffic and influence online. Retaining people that already came to your site is much easier than trying to get new readers on board. Also, be sure to have a routine check-up on your stats and data to see if you’re missing out on any major opportunities. Oh, speaking of opportunities, we just launched a new feature called “Alerts” which inboxes you posts made by influencers about your brand, so you never miss an opportunity to engage and amplify! You can read more about it here: Keyhole’s ALERTS.